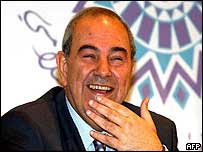 So Iyad Allawi (or Ayad Allawi), the man groomed by the Bush administration and Blair government to be their client Prime Minister in Iraq, seems to have won the latest elections there. He was first appointed as unelected ‘Interim Prime Minister’ by the Iraqi Governing Council in 2004 (that Council having been appointed by US ‘governor’ of Iraq George Bremer), but lost elections to a Shia list, with the first two elected Prime Ministers since the invasion having been first by Ibrahim al Ja’afari and then Nouri Al Maliki, who both formed a coalition government largely made up of the Iranian backed ‘Supreme council for the Islamic Revolution in Iraq’ and it’s successors, along with the Kurds ;and an uneasy and unstable alliance with the Sadrists (also Shia, but less willing to accept the continuing presence of foreign troops). Some western diplomats say they also ,witnessed Allawi personally shoot six suspected insurgents in front of them(13). Saddam was also ‘secular’, also relied heavily on the Sunni minority for support and was also backed by the US, British and French governments right up until the invasion of Kuwait - all through the period in which he gassed the Kurds in his genocidal (but secular) ‘Anfal’ campaign and invaded Iran (leading to the deaths of millions, but never mind, he was secular). After the 1991 Gulf War he switched all oil contracts to Russian, French and Chinese firms and their governments became his supporters. Moqtadr Al Sadr is meanwhile demonised as a man “who maintains an overlord's hold over more than two million Shia Iraqis”, despite the fact this “overlord’s hold” is based on his widespread popularity among the poorer Shia of Baghdad, who do not see their interests being represented by the main Shia list of Iranian backed politicians from wealthier backgrounds, nor by Allawi with his links to the occupying forces. Could the hostility to him in the media be anything to do with briefings against him by British and American government and military spokespeople? Could those have anything to do with his opposition to the presence of foreign forces in Iraq? A balanced account of Sadr does not suggest that he is either particularly pro-Iranian (though US attempts to capture or assassinate him forced him into exile in Iran) and he seems to have tried to restrain Sectarian violence by his followers against Sunnis, with many of those responsible having broken away from his organisation (For details and sources on Sadr and the Sadrists go to http://www.duncanmcfarlane.org/GetSadr/) (14). Propaganda from the British and US governments has now come full circle from lauding Saddam for his ‘secularism’ against Iranian extremism in the 1980s to condemning him for his unprovoked aggression against Iran in 2001 till the last couple of years and now back to supporting Allawi as a new ‘ secular strong man’ who will ‘oppose extremism’ and ‘provide stability’. Sceptics might wonder whether being tortured or summarily killed without any trial by Allawi’s death squads who are ‘anti-sectarian’ or ‘secular’ is really that different from being tortured by those who justify their actions on religious grounds, or if the governments of the ‘free world’ just prefer Allawi because he’ll do their bidding by giving their firms oil contracts and opposing the Iranians just as Saddam did – plus allowing them military bases in Iraq to secure it’s oil and make it easier to get hold of Iran’s in future. Is trade with China benefiting the majority of Chinese people? Or is it an unintended effect of the "one child" policy? Or a combination of the two? and will this just lead to production being moved to countries with cheaper, more repressed work-forces if we don't change our trade policies? And can we get a balance between liberal trade, socialist protections and environmental issues that will affect us all? Migrant workers in China - have they and the majority of Chinese people begun to benefit from trade with China - and if so is it only or partly because of the 'One Child' policy? In the past i’ve claimed that trading with China was benefitting neither the majority of Chinese people nor the majority of people in ‘developed’ countries like those of the EU. It seems I’ve been proven at least partly wrong, though only partly, since this only seems to be the case in Southern China so far - and because the causes may be as much or more the 'one child policy' and jobs created temporarily by the Chinese government- as much as trade. So far there's no sign of greater democracy, an end to the torture, or an end to the jailing of dissidents or execution without fair trial in China. As some of my relatives pointed out to me wages in parts of Southern China are increasing, working hours have come down to something similar to most EU countries and factories now have a shortage of workers though. BBC World Service reports confirm this. Some workers laid off during the credit crisis or who went home for the long Chinese New Year holiday never returned to the factories in the cities, but set up their own small businesses instead – and some of them are making much better wages than they were in the factories. However in much of China unemployment remains high and wages remain low - and many of the jobs created by the Chinese government are temporary and many be ended once the effects of the credit crisis end. The shortage of workers is likely to lead to more increases in wages and better working conditions to try to attract workers back though - and each generation of workers is better educated and demands better wages. This has happened despite the lack of democracy in China, despite the lack of trade unions independent of the governing party and despite some terrible exploitation of workers in some factories in the past. My relatives run their own companies and were initially forced to turn to Chinese firms as suppliers in order to compete with other firms that had already done so, but visited their suppliers’ factories and demanded changes or else switched to different suppliers if workers were badly treated. 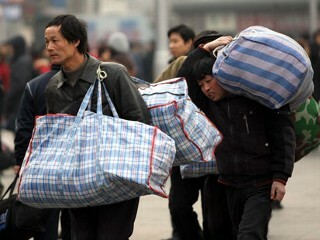 Their actions may well be one of the driving forces behind improvements in wages, hours and working conditions (if others have done the same – either for moral reasons or to avoid losing business to those who can show they only use suppliers who treat employees well), with increased demand and migrant workers starting their own small businesses back in their home villages (with the Chinese government giving new small businesses three years without taxes to become established) probably being another. This is all great news and the opposite of what I’d expected – and brings hope that democratisation may follow from this, though i still think EU governments and the US should be making new trade deals with the Chinese government conditional on allowing independent trade unions, allowing opposition parties, independent candidates and free speech and on an end to the practice of sending dissidents and trade unionists to jail, lunatic asylums or ‘re-education centres’. However it also seems to be at least partly due to China’s one child policy leading to economic growth and demand for workers exceeding population growth – the opposite of the situation in most ‘developing’ countries where lack of welfare payments for the ill and unemployed and high infant mortality rates caused by hunger, poverty and lack of clean water and health care lead to most couples having lots of children in the hope that some will survive and in order to support them when they are ill or old. The one child policy is a success in that sense, but has involved some extreme brutality, with many forced abortions and even killings of babies after birth – and some opponents of the policy being jailed or sent for ‘re-education’ to lunatic asylums. The question is whether China’s improvements in wages and working conditions are an exception to the rule caused by it’s unique one child policy or an example of a general pattern of the majority benefiting from more trade, or whether it’s some combination of the two. So far there is no evidence of democratisation nor of any slowing in the jailing, torture and execution of dissidents or Tibetan or Uighur separatists in China. Executions also remain common, often after unfair trials and with confessions extracted by torture. The other question is whether the improvements in wages and conditions in China will continue, expand to benefit the whole population and gradually improve standards of living and bring democracy worldwide (as classical liberal theory would predict) or whether the largest firms will now move production to places like Nicaragua, Thailand, Haiti and Honduras where US-backed military coups (with civilian fronts for public relations reasons) have crushed previous democratically elected governments’ attempts to improve wages and conditions for the majority (as socialist theories would predict). Some might argue that this is part of the process of levelling up involved in international trade, but in fact wages in these countries have fallen massively due to repeated military coups and US sanctions and conditions on aid. This supports the socialist argument that ‘developed’ governments are operating a policy of backing coups and dictatorships and using their aid and trade deals to create new pools of cheap labour. The BBC’s News 24 has had some lamentable TV news reporting on Thailand, with pro-democracy protesters giving blood and then pouring it in front of the parliament building as a protest at the military coup which used ‘constitutional measures’ to replace the elected government, followed by the killing and jailing of protesters reduced to ‘what a bizarre way to protest’ by one BBC anchor, though at least the report did mention an alliance between the wealthy and the military and that most of the protesters were from the poorer majority. The BBC News website is better, but doesn’t mention that the judgements that Thaksin Shinawatra’s government had committed electoral fraud and acted unconstitutionally were made by a Supreme Court purged and reconstituted by the military junta, under a new constitution written up by a majority of appointees of the military junta, which also allowed elected MPs to switch party – allowing the new government to co-opt some members of Shinawatra’s party. The new constitution gave immunity from prosecution to everyone involved in the coup – and the new government has extended that immunity to cover security forces involved in torture and extra-judicial killings through executive decrees. Given the fact that i seem to eventually have been proved at least partly wrong on China at least in terms of wages and working conditions for a large minority – and possibly the majority - i don’t know the answer - though i suspect most Chinese would have suffered less and benefited sooner from trade treaties with more conditions attached (and still could) -but it would be as wrong to claim that free trade always benefits everyone (as one of my former lecturers used to claim – in what he would have called a ‘crude analysis’ had anyone else made such a sweeping statement) as it would be to claim that trade and investment are always harmful. Certainly Haitians have not benefited from free trade, with falling wages and increasing poverty, hunger and starvation since the 1980s. Most Haitians don’t even get the pitiful minimum wage set by the government. Though public pressure in the EU and US has led those countries’ governments to offer to cancel Haiti’s debt you can be sure that these governments will still try to make debt forgiveness conditional on more ‘free market reforms’ and more privatisation of the few public services and nationalised industries still existing there. The US and EU governments frequently preach free trade to the poorest countries in the world, demanding they open their markets to exports from the US and EU. This is never reciprocated by the US or EU allowing imports from those countries into their own without any trade barriers – and it’s arguable that if it was it might well bring the majority down to the level of the poorest rather than level Haitians or Africans up to European levels. Nor is the process as simple as countries being levelled up to the point that everyone is comfortably off. In the US during the credit crisis surveys showed that % of people had missed meals regularly – and in some cases their children missed meals too, which would have an impact on the development of their minds and bodies as adults. Many millions have been homeless and living in tents. These kind of facts suggest the socialist argument that free trade, if unregulated and if not combined with a strong welfare state and public services, could level the majority down while benefiting only a minority. There are certainly lots of possible benefits to free trade for the majority – as China now seems to be showing – but it can’t be assumed that these are guaranteed without a balance between free trade and regulation; between welfare, public services and profit; and between profit and environmental costs. While we are still using petrol, oil and diesel as our main fuels large scale trade also has environmental impacts which could lead to many millions losing enough water or food to survive, to them being made refugees by these shortages or by floods and sea level rises. Bio-fuels have been shown to be a poor solution to this in practice – many create more CO2 and other pollution in producing them than is saved by using them as fuel – and growing plants for bio-fuel rather than food has increased the price of food, leading to more hunger and starvation for the poorest (and also more global warming as rain forests are cleared to make money from exporting bio-fuels). (Of course without a policy to reduce the birth rate this food shortage might be much worse, though tax breaks for having less children would be a lot less brutal than forced abortions). That’s why i believe that future trade deals between governments should include many conditions going beyond reciprocal access to markets. The results are not determined just by letting companies ‘get on with it’, nor can we blame individual company managers for the system they operate in, just as it’s foolish to think that different bank managers would behave better if left in a deregulated financial market that punishes social responsibility and rewards short-term profit. Governments may have been lobbied by some of these companies, but governments are under no obligation to cave in to the worst companies and grant total de-regulation that allows the least responsible managers to be rewarded for their selfishness, while the most responsible are punished for not minimising costs at all costs. As my relatives have shown in their business dealings in China it is possible to behave morally and have concern for workers even in a relatively deregulated market, but it would be a lot easier and commoner in a market which was better regulated. One More Push for What in Afghanistan? And at what cost in lives? With civilians and soldiers continuing to die in the war in Afghanistan 9 years after it began we have to ask whether the huge cost in money and lives is necessary or worth it. The war is clearly failing to either defeat the Taliban or prevent Al Qa’ida training. NATO and the Karzai government have never come close to controlling the whole of Afghanistan. Even if they did Al Qa’ida could still train in the US or Europe – as they did in US flight schools for the 9-11 attacks. US intelligence reports that 90% of the people we’re fighting in Afghanistan are not Taliban suggest NATO and Afghan army offensives (often by Tajiks and Uzbeks from Northern Afghanistan into Pashtun areas in Southern Afghanistan) are turning Afghans against the Karzai government, despite the vast majority of them opposing the Taliban. Despite the Obama administration promising a new strategy to end to high numbers of civilian deaths caused by NATO airstrikes in Afghanistan after the Azizabad airstrikes in August 2008 they have continued – and again after the Bala Bolook strikes in May 2009 – and again after Kunduz in September 2009 – and during the Operation Moshtarak offensive in Helmand and airstrikes elsewhere in Afghanistan this year. On top of this the new ‘counter-insurgency’ strategy is leading to an unknown but increasing number of civilian deaths in night raids (at least 98 in 2009) by US led Afghan Special Forces and militias. The evidence suggests the brutal methods of crushing all dissent by proxy native death squads which was developed in Guatemala and El Salvador and reproduced with the ‘Police Commandoes’ in Iraq is being used in slightly altered form in Afghanistan. It provides plausible deniability – especially when the tactic of summary execution results in innocent people being killed – as it did in the village of Ghazi Khan in December 2009 when 8 boys aged from 12 to 17 and 2 adults, all unarmed, were killed by men with no uniforms but night vision goggles and flying in helicopters to and from US held airfields and bases in Afghanistan. Since the stated aims for the war are clearly not being achieved and make no sense in any case when Al Qa’ida can operate in any country in the world, war or no war, the only possible benefits are control of an oil and gas export pipeline for resources from former Soviet republics such as Kazakhstan, Turkmenistan and Uzbekistan on a route not controlled by Russia or Iran; profits for arms companies; and having airfields and military bases on both the Iraqi and Afghan borders with Iran – which has the third largest proven oil reserves in the world after Saudi Arabia and Iraq. If we want that oil and gas export route there’s a way to get it that’s cheaper in lives and cheaper in money – negotiate a peace deal of the kind UN envoys say they were close to before Pakistan’s intelligence services arrested Taliban leaders who were willing to negotiate – then pay the Afghan coalition government enough per barrel of oil or gas going through the pipelines to get a deal and fund reconstruction in Afghanistan. We could also help fund the construction of factories to use poppies to produce opiate based painkillers as an alternative and legal source of export income to the heroin that most poppy crops in Taliban and government held areas produce now. The aim of building a pipeline may or may not be reconcilable with the aims of reducing poverty and promoting democracy and human rights, but the war is not an effective way to achieve either set of aims – one of the reasons being that it has increased poverty and hunger by making around 400, 000 Afghans homeless refugees in their own country. The Germans were finally defeated in World War One because they thought one more really big offensive might win them the war – it lost them it, because in every offensive the attackers over-extended themselves and took massive casualties. The side that carries out the most attacks in Afghanistan will inevitably kill the most civilians and turn the most surviving relatives, friends and local tribes-people against people they see as invaders. The Taliban are already massively unpopular among Afghans. The best way to make the Taliban lose is to end all military offensives, all airstrikes and all drone strikes and focus on providing aid and jobs and education and reconstruction. What are the Afghanistan war’s core aims? Is it achieving them? Are they achievable? Would it stop Al Qa’ida if they were? There are a lot of problems with the war on Afghanistan. The first is that the publicly declared motives for US and NATO troops being in Afghanistan make no sense, especially after their presence there for 9 years has failed to achieve the publicly declared aims – suggesting those aims are unachievable. The second is that it’s unlikely that military force can ever prevent terrorism, rather than cause more of it – it’s like trying to put out a fire with a flame-thrower. The third is that US intelligence suggests most of the people NATO troops are fighting in Afghanistan are local tribes continuing their custom of resisting foreign invaders. That suggests that keeping troops there may be creating enemies for the Karzai government rather than strengthening it. Then there are the problems of failure by NATO governments to provide the funding they’d promised for reconstruction and development in Afghanistan. NATO forces have now been in Afghanistan for almost 9 long years in which their soldiers, Afghan civilians, Taliban and Afghan police and soldiers have died by the thousand. Arguing that the war is about preventing Al Qa’ida or similar groups training in Afghanistan is even less convincing than it was after September 11th. At no point have NATO forces or the Afghan government controlled even the majority of Afghanistan. Even if they did, anyone could still train for anything in the mountains. Al Qa’ida and similar groups have meanwhile gained recruits through being able to point to non-Muslims occupying a Muslim country and killing Muslims. US intelligence assessments show the vast majority of the people we’re fighting aren’t even Taliban. Clearly the aim can’t be to prevent Afghan being a ‘safe haven for terrorists’ – it’ll be that no matter how long our troops stay and most of the 9-11 hijackers trained at flight schools in the US and Germany. Of course one major aim is to get an oil and gas export pipeline for former Soviet republics’ oil and gas that avoids being controlled by Iran or by Russia or former soviet Republics it still dominates like Ukraine, Georgia and Azerbaijan. Civilian and military deaths caused by both sides in the war – is it necessary or worth it? While the total number of civilians killed each year increased in 2008 compared to 2007 and in 2009 compared to 2008 according went down according to UNAMA it rose according to the Brookings Institution’s figures (see page 4 of this pdf). So far in the first months of2010 it’s fallen compared to the first months of 2009 - and on UNAMA figures the proportion of civilians killed by NATO and Afghan government forces (as opposed to their enemies) has been falling throughout 2008 and 2009 - and the Brookings Institution’s figures show the same for 2007 , 2008 and 2009. While that’s positive, it’s not likely to impress the relatives and friends of the dead much, nor can it be justified if the war isn’t both necessary and saving more lives than it’s costing. The latest UNAMA figures(see page 13 paragraph 54) suggest 68% of recorded civilian deaths in the first 6 months of 2009 were due to Taliban and other anti-NATO and anti-Karzai government forces’ use of IEDs and suicide bombings, some of which definitely targeted civilians, though others targeted NATO or Afghan army or police forces, with civilians as “collateral damage” much as in NATO air strikes aiming to kill Taliban. While this again suggests NATO and Afghan government forces are now killing less civilians than their enemies are it doesn’t make those deaths, or the deaths of NATO troops, a price that has to be paid if the entire war is un-necessary. Most Afghans do oppose the Taliban and see Karzai’s government as legitimate (see polls on page 39 on this link), but then most of them oppose the actions of foreign forces in Afghanistan in offensives and airstrikes that kill civilians too (Karzai has demanded an end to night raids and air strikes). The latest NATO and Afghan Army offensive – Operation Moshtarak or ‘Together’ in Helmand in Southern Afghanistan was publicised in advance to allow civilians to leave the area, but many Afghans have no cars and no way to transport their food supplies and belongings – and Taliban IEDs set on all the roads to target the NATO advance made many of them scared to leave their homes. “Witnesses suggested that the majority of the casualties were caused by PGF [pro-(Afghan) government forces] artillery and rocket fire.” though there were “numerous reports of Anti-Government Elements planting landmines in homes and residential areas, which pose a grave threat to civilians”. So that's almost certainly an under-estimate even for that offensive on its own. As in previous offensives most of the Taliban in the area were aware the offensive was beginning and left before it. They may return after NATO forces have moved on - just as happened with Coalition offensives in Iraq – though NATO plan to hand over to Afghan army and police units to prevent this – one problem being that, as Craig Murray reports 60% of the Afghan army are Tajiks, who may not be trusted by the Pashtun majority in Southern Afghanistan (most Taliban being Pashtun). The other problem is that if 90% of the people NATO are fighting are just local tribes resisting foreign invasion (which may in their eyes include both NATO and non-Pashtun Afghan army units) this plan may just create more enemies than it defeats. wounded 16 others, including women and children. There were no Taliban present in any of the vehicles. These and many smaller scale incidents killing civilians follow repeated pledges from the Obama administration that everything would change from now on. This pledge was first made after the Azizabad airstrikes in August 2008, in which NATO forces assumed civilians fleeing many kilometres from fighting between NATO and Taliban forces were Taliban – and bombed them for hours on end, killing over a hundred. It was made again after the airstrikes on Bala Boluk in Farah province, which killed dozens, in May 2009; and again after the Kunduz airstrike, which again killed dozens, in September 2009. On top of this under Obama the use of unmanned drones to target Taliban in Pakistan has increased massively, with around one in three of the dead being civilians. How can Obama believe that using air-strikes that kill civilians is counter-productive and should end, while continuing those air-strikes and expanding the use of equally counter-productive strikes by unmanned drones? NATO has moved from denying their airstrikes killed civilians and making up colourful stories about Taliban killing people with grenades and moving bodies around to look like airstrike victims (Defence Secretary Robert Gates’ initial line on Azizabad, till he was forced to admit it wasn’t true) to apologising for civilian deaths, as General Stanley McChrystal did for the more recent strikes, but how much will these apologies mean to Afghans while the deaths continue? Air strikes aren’t the only way NATO forces are killing civilians either. An investigation by George Soros’ Open Society Foundation found NATO and Afghan army ‘counter-insurgency’ units’ night raids on suspected insurgents houses in 2009 killed at least 98 civilians – and probably more. In the worst case, in a night raid on the village of Ghazi Khan in December, US led special forces killed a 12 year old boy, seven teenage boys and two adults according to investigations by the Times newspaper and the Afghan government. NATO initially claimed that the “joint coalition and Afghan security force” and that as they “entered the village they came under fire from several buildings and in returning fire killed nine individuals,”. 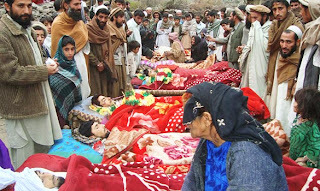 NATO claimed all the dead were members of a cell making IED bombs to target NATO and Afghan forces. An investigation by officials from the Afghan government, NATO’s allies, found that most of the victims were shot where they lay in their beds, but some of the boys were handcuffed, moved, then shot dead, along with two adults shot when they came to see what was happening. When they finally admitted the victims were civilians “US forces stationed near by denied any knowledge or involvement. Nato’s top legal adviser told The Times that US forces were present but not leading the operation. Senior officers in Kabul hinted that the “trigger-pullers” were Afghan. One official said that the force was “non-military”.”. Afghan government officials said the raiding force had arrived and left by helicopter – and Afghan officials confirmed the raiding force had flown to and from airports in Afghanistan controlled by NATO, it seems unlikely that NATO would not be leading it – they don’t have lots of spare helicopters to loan. This may just be an attempt to deny responsibility for the mistaken summary killing of innocent people – or the “trigger pullers” may genuinely have been “non-military” and “Afghan” (though US trained and led and effectively US military controlled) like the been Paramilitary ‘police commandoes’ of the type trained for torture and summary execution of opponents of the US-backed government in Iraq by US officers. Or they may be some of the Afghan militia put on the Pentagon pay-roll under McChrystal’s plan. That “informal model” is likely to be basically the same model used in Guatemala, Honduras, El Salvador and Nicaragua – the ‘El Salvador Option’ that was also used in Iraq of paying and training native forces under US trainers and advisers who in reality bring them under US command but allow plausible deniability of responsibility for torture for deliberate and accidental killings of civilian and armed opponents of a US backed client government. This may be what McChrystal meant when he wrote that “we must conduct classic counter-insurgency operations”. In March 2010 another joint US/Afghan operation , once again claiming to target a cell making IEDs, killed 5 civilians in Paktia Province near Gardez, including two pregnant women, a teenage girl and two Afghan government officials, one being the head of the local police and loyal to Karzai. In another raid on the village of Karakhil in Wardak Province three civilians were killed along with three Taliban. In a raid on a village in Ghazni province in February both civilians and Taliban were also killed, but survivors pointed out that the villagers had had no option but to allow the Taliban to stay in their village if they didn’t want to be killed by them – and at least one villager whose wife and son were killed in the raid was so angry that they were considering joining the Taliban as a result. After initially claiming each operation had been a “joint” one between NATO and Afghan forces with all the dead being members of IED cells or Taliban, NATO officials subsequently admitted civilians had been killed and claimed that Afghan forces were responsible – though once again they arrived and left by helicopter and had night vision goggles. As helicopters are noisy and vulnerable to light weapons and missile launchers night raid forces like the one that raided Khazi Khan sometimes land 2 kilometres from their targets before proceeding on foot. As a result villagers and police had no idea who was raiding their villages - whether it was NATO, Afghan forces, Taliban or bandits - this may have been one of the causes of the civilian deaths in the Gardez raid, as the local police chief went out to confront the raiders armed with his gun. Yet NATO officers had been telling journalists that the CIA or Special Forces who were “out of control” might be responsible. Then General Petraeus announced that as a result of the “botched operations” control of all US Special Forces units in Afghanistan “bar a handful” was being transferred to General McChrystal. If the units carrying out the “botched operations” really weren’t US led this would make no difference whatsoever. So obviously they were US led. As with air strikes a new pledge to ensure civilian deaths in night raids would end followed each major incident, but the deaths continue anyway. As with US trained Iraqi government death squads in Iraq the attackers wore no uniforms or insignia – and this could well mean that many of the deaths classed by UNAMA and the Brookings Institution as being by ‘unknown’ forces are the victims of these militia and paramilitary ‘counter-terrorism’ units. Prisons like Bagram air base, where it’s known detainees died under beatings, extreme cold, stress positions and sleep deprivation under Bush, have become the new Guantanamo Bay under Obama, with his administration’s lawyers arguing they can take people from anywhere in the world and hold them in US bases in Afghanistan indefinitely. Afghan forces lack two things – enough pay to ensure more of them fight for the Taliban than for the government and sufficient equipment. NATO could give them both those things by withdrawing our forces, handing over the equipment and using the money saved to subsidise higher pay for the Afghan army and police – but then Karzai’s government would no longer be quite as dependent on them for power. To be fair NATO has provided funds to double the pay of the Afghan army and increase that of police. The question is how long that pay increase will last and whether it matches the pay offered by the Taliban. After most US forces left Iraq the US government quickly ended all payments to fund Iraqi ‘awakening’ militias. The unemployed militia-men protested and sectarian violence and bombings have increased again. Another Alternative would be to move from a focus on the military to the economic. If 90% of NATO’s enemies in Afghanistan are created by the presence of its troops – and of Afghan army troops in areas outside those of their own tribes – then it would make more sense to withdraw the troops and focus the money saved on rebuilding the Afghan economy - the most viable option being to build factories to process poppy crops into opiate based painkillers for use in the country and to create an export industry and an alternative to income from heroin (the commonest product produced from poppy crops in all of Afghanistan). Can a war for an oil and gas export pipeline be reconciled with promoting womens’ rights, democracy and reducing poverty? Can the war achieve either set of aims? I would like to believe that our troops are being sent to war in order to promote democracy, human rights and an end to brutality towards and the repression of women. The lack of all these things in US and EU backed dictatorships like Saudi Arabia suggest otherwise though. These may well be just the justifications used to get public support for the war, just as the fear-mongering about Iraq’s WMD (ignoring our own nuclear deterrents) was used rather than the real motive – oil – as a justification for war on Iraq, because otherwise the public, congress and parliament would never have approved the war. NATO countries have also given up on even aiming for democracy in Afghanistan, saying they would accept ‘stable, moderate’ (i.e pro-NATO) government instead. Of course one thing has changed between the Cold War and now – the official enemy are Islamic extremists rather than Communists – that’s the one hope that the ‘war on terror’ might actually protect womens’ rights – but half the Afghan government are former Mujahedin fundamentalists who are completely opposed to womens’ rights and whose forces have brutalised women continuously. NATO governments may blame Karzai for having these people in his government but in fact the US for most of its time in Afghanistan has provided more funding and arms to these ‘warlords’ than it has to the Karzai government – no doubt to keep Afghans divided and so easier to control. It’s also worth remembering that the US and British governments in the 80s lauded the Mujahedin (who were just as brutal towards women as the Taliban) as ‘freedom fighters’ against Communist totalitarianism. The Soviets committed plenty of war crimes and killed many thousands of civilians, but they and their Afghan Communist allies allowed women an education. There’s an argument that we do need oil and gas supplies not subject to the Russian government shutting off the supply in winter if we upset them, but equally there’s an argument that our governments lying to their public and soldiers, or at the least not telling them the whole truth, about why troops are being sent to kill and die in Afghanistan, is not justifiable. Nor is the idea that if we need resources or export routes it’s fine to just kill people or back puppet governments or dictators till they give us them cheaply. The Pakistani journalist Ahmed Rashid in his book ‘Taliban’ showed that the US firm UNOCAL was in negotiations with the Taliban for a pipeline through Afghanistan in the early to mid 1990s. The Taliban demanded too high a price and the civil war didn’t end, so UNOCAL dropped the plan. That doesn’t mean that Pentagon and US Department of Energy planners will have dropped it as a long term aim, nor that all oil firms will have. In the past long-running wars and foreign invasions (like that by the Soviet Union in the 80s) have not led to greater moderation but to more extremist groups dominating the country’s politics. War also destroyed the education system and the economy – and lack of education combined with dire poverty and unemployment produce extreme politics too (just look at the rise in Islamic fundamentalism and sectarianism in Iraq under sanctions from 1991 on compared to secularism and high education levels in the 80s when most of the world was funding Saddam’s war on Iran under Khomeini; or the rise in BNP support in Blackburn or Burnley after the textile mills closed and moved to the third world). Afghans suffer some of the worst poverty and hunger in the world – with 45% not getting enough to eat in 2007 - and that hasn’t been changing much in the last few years for most of them. One of the reasons is the continuing war, which doubled the number of homeless Afghan refugees in Afghanistan (‘internally displaced persons’) from 150,000 in May 2008 to over 275,000 by October 2009 (and the Afghan government puts the figure higher – at 413,000). If there’s to be a pipeline Afghans deserve a share of the profits. The right thing to do is to negotiate a peace deal, pull out and negotiate a deal on a pipeline route with the new coalition Afghan government. No doubt it will be corrupt – no more corrupt than Karzai’s government or most ‘developed’ world governments’ foreign policies though. No doubt it will be full of warlords who are Islamic fundamentalists, and/or have blood on their hands and are guilty of torture, murder, massacres and human rights abuses. So does Karzai’s government – so do most of the governments and militaries in Afghanistan. However we can have as much influence through placing conditions on foreign aid and trade deals as we have through troops on the ground – and it would be a lot less counter-productive and lead to far fewer deaths. Arms firms and companies with army supply contracts will be upset at reduced sales. The Taliban and other warlords will lament losing protection money that they’re currently being paid not to attack NATO supply convoys of fuel, food , body armour, arms and ammunition (most supplies having to come by road through mountain passes from Pakistan). The new government and aid agencies will require money from NATO governments to keep flowing to feed Afghans who don’t have enough food and help rebuild the country’s agriculture and economy, even if some of that money continues to go missing. A lot less people will die though. Aid workers would be able to get back to work, no longer risking being targeted because they’re seen as part of an invading force (just as they were able to under Taliban rule in the 90s, despite the Taliban’s brutality towards Afghans). One UN envoy to Afghanistan said he was making good progress acting as a mediator in negotiations between Karzai’s government and Taliban leaders – until Pakistan’s ISI military intelligence arrested several of them under pressure from the US to ‘do more’. NATO trumpeted the capture of Mullah Omar’s second in command, but sceptics pointed out that Omar’s second in command Baradar was actually prepared to negotiate peace with NATO and Karzai, while Omar is not; so why did they capture the man who was willing to negotiate, but not hand over Omar himself, who was less willing to? Perhaps because the Pakistani military still see Afghanistan as a ‘strategic buffer zone’ in case of war with India – and still see the Taliban in Afghanistan as a proxy force for Pakistani influence there, even as they fight the Pakistani version of the Taliban at US insistence. The Obama administration often talks of using “all the tools at our disposal”, suggesting that military force and intelligence work can work alongside reconstruction, aid and peace negotiations to fight terrorism and ‘extremism’. The reality is that military force and intelligence actions undermine reconstruction, aid and peace negotiations. You don’t encourage a lasting peace deal by one side killing the other’s people. You don’t rebuild an economy through expanding the wars that destroyed it in the first place. You do though perhaps attempt to install a client regime so you can have military bases on both sides of Iran (Iraq and Afghanistan), which has the next largest proven oil reserves in the world after Saudi Arabia (US allied dictatorship) and Iraq (US occupied – bases will stay with ‘trainers’ after combat troops withdraw) if you want to control the world’s oil and gas reserves and export routes. You might also keep a government in Afghanistan that’s weak and divided, because then it’s dependent on it’s foreign backers, who could switch their support to someone other than Karzai as PM. Then that government could be put under pressure to give oil companies from NATO governments a contract to build a pipeline in future, keeping out the competition from the Russians and the Chinese – much as has happened with oil contracts in Iraq. So do we want peace and reconstruction or just control of oil reserves, export routes and contracts going to our countries’ companies rather than our rivals? That is the real question in Afghanistan. The talk of democracy, human rights and women’s’ rights is inspiring, but sadly there aren’t many NATO governments who actually promote it rather than just talking about it. Saudi Arabia’s dictatorial monarchy repress women brutally and torture and execute people without fair trial – and its only elections were of local officials who say they don’t even have the power to get bins emptied, yet they get plenty of support from NATO governments. There may be people with an optimistic enough view of governments’ current foreign policies to believe that Afghanistan may be an exception – a case where promoting oil companies’ and governments’ aims and promoting democracy and human rights aren’t in conflict, but either way, continuing the war will achieve neither set of aims. An imperfect peace will be better for Afghans than endless war. With reconstruction it could give them a chance to have jobs and incomes and education that would give them a chance of eventually overcoming the influence of religious fundamentalists and warlords. Of course we can keep trying with one more big military offensive; one more big push; just as both sides did in World War One. The Germans finally lost World War One due to one more push – their own big offensive which lost them so many troops they had to sue for peace on any terms. In a war for hearts and minds big military offensives will inevitably kill civilians; even if NATO forces weren’t involved they’d still involve Tajiks and Uzbeks invading the towns and villages of the Pashtun majority in the South – and so turn more people against the Karzai government who would otherwise have opposed the Taliban. No-one needs one more military push in Afghanistan – they need a huge push to provide them with food, an education, jobs and income. Most Afghans already hate the Taliban. Every person killed by the Taliban will turn more Afghans against them. We only need to do the opposite of the Taliban rather than turning Afghans against us too. - and why we need public funding of all candidates in elections so we can make parties taking money from any other person, company or organisation a criminal offence too. 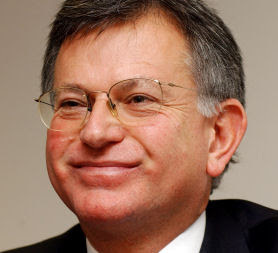 Smug, money grabbing, brass-necked, dishonest, chancer Stephen Byers MP (Labour), above, competes with smug, money grabbing, dishonest, brass-necked chancer John Butterfill MP (Conservative), below, for the title of smuggest, most grasping, dishonest and brass-necked chancer 2010 (oh and if either of you are going to sue me for saying that then i 'retract' it, never said it and 'deny all allegations of wrongdoing', just like you both do with the statements you made which are recorded on video). What’s most shocking about it is that it may well not be illegal. It f***ing well should be. These videos also show why we need to have modest public funding of all political candidates, so any of them accepting money other than that funding, their salaries and justified expenses relating to their job can be tried, fined or jailed and kicked out of their jobs as MPs or ministers – as well as being banned by law from working for 5 years. They may complain that that’s unfair. It’s not, it’s entirely justified for someone found involved in serious corruption. They can live on their pension for those 5 years, which will be much more generous than the unemployment benefit they give to millions of people often out of work for years through no fault of their own. The job of an MP is to represent all their constituents equally – not to represent their party or donors to their own or their party’s campaign funds, much less people agreeing to bribe them personally. They should also be banned from standing for public office or being a director or lobbyist for any company or from being appointed to the House of Lords for a period of 10 years, or for life, depending on the amounts involved. 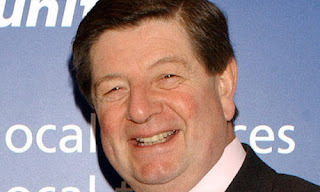 Forcing them to stand down as MPs is not enough, because most of those involved are standing down at the next election anyway – and probably going on to Lordships (as Conservative MP John Butterfill – who from the video is butter-filled both by name and by nature - suggested he probably will when selling his services to people he thought were lobbyists). All political parties and independent candidates should also be banned from accepting any private donations, but all should be given modest public funding of their election campaigns, so the ban on private donations does not turn politics into the preserve of the wealthiest. Any party found accepting private donations should also be banned from having candidates in elections for 10 years. Some may see this as handing politicians public money, but it would save us a fortune in the future by ending the mis-use of thousands of billions of pounds of taxpayers’ money going to PFIs/PPPs (which result in both higher taxes and cuts in the number of hospital beds and fully trained nurses and teachers), privatised rail firms and arms companies selling arms to dictators and those committing genocide, which is the result of allowing political parties to accept private donations. When Saddam Hussein stopped paying for arms exported by BAE under British government licences after the 1991 Gulf War the taxpayer picked up the tab. There have been many similar instances since. The corruption involves MPs from both main parties – Labour and the Conservatives, as Conservative MP John Butterfill was involved. He was caught on video boasting about his influence with David Cameron; So if anyone is still under the illusion that either major party is free of corruption, or that it’s just ‘a few bad apples’ think again – these are people close to Blair and close to Cameron. Stephen Byers is perhaps the most sickening of all in the way he boasted about conning the public into believing the government was going to crack down on the private rail companies, while he was taking money from the same companies to ensure the government didn’t crack down on either the vast subsidies these firms get from taxpayers (while keeping all the profits for themselves) or the way they keep raising fares at several times the rate of inflation. Byers is the kind of smug spiv who has spent his career looking down on anyone with any principles as ‘an extremist’ or a ‘loony’. Most of the people this spiv looks down on are simply more honest than he will ever be and actually have some principles. Byers took a hissy fit when Peter Hain MP suggested a 50% tax rate on the highest earners to help the poorest. He took another one when Brown put it into practice (though not permanently) after the credit crisis. I wonder if any of that ‘work’ was on the ‘cab for hire’ £3,000 to £5,000 a day rate Byers said he charged in the Dispatches video? Another interesting fact is that both Byers and Butterfill are members of their parties’ respective ‘Friends of Israel’ groups, who refuse to make any criticism of Israeli war crimes and frequent killings of unarmed Palestinian children and teenagers (to be fair sometimes the children throw stones, which no doubt completely justifies Israeli soldiers in helmets and body armour shooting them in the head – or perhaps the fact that Hamas and Fatah have terrorist arms who kill Israeli civilians somehow makes it fine for the Israeli military to kill many times as many Palestinian civilians). In a recent case they claimed a boy they shot in the head while he and his brother were working on their family’s olive grove threatened troops with a knife. They also said they fired no live ammunition though – yet the bullet removed from the dead boy’s head was a metal bullet, not a rubber bullet – and even rubber bullets can kill at short range. How much Byers’ and Butterfill’s uncritical support for the Israeli government and military’s actions is down to their principled beliefs and how much might be down to the millions donated by LFI to the Labour party’s campaign funds and the millions donated by CFI members to the Conservative party’s election campaign funds since 1997 (for instance £2 million from Lord Sainsbury – an LFI member and made a Lord and Cabinet Minister by Tony Blair), is a matter for speculation. I couldn’t possibly comment. Byers, Butterfill and associates have now ‘retracted’ all the things they were caught saying on video, claiming there is ‘no truth’ in the allegations that they said these things. Since, unlike them, i’m not protected by parliamentary immunity from our country’s ridiculously unbalanced libel laws i can’t say they’re caught red handed, nor can i claim for instance that they’re guilty as hell. I can however point out that if any ordinary person accused of fraud was caught admitting it on video and then ‘retracted’ their statement and said the evidence didn’t count because they ‘denied the allegations’ the court would laugh them all the way to jail. Since what they’ve done probably isn’t illegal (yet) I can’t say they must be fined for every penny they have or put in jail. I can say it should be illegal though – and I can say that once a law making it illegal is passed any MP or minister or Lord caught doing the same and tried in court and found guilty should not have their feet touching the floor as their corrupt arses are kicked out of parliament or the Lords, their money is taken in fines, they are banned from any kind of employment for 5 years and from any directorship or public office permanently. I can also say that if you want this kind of behaviour made illegal don’t bother looking to the leaders of the major parties or any MP who doesn’t routinely rebel against the party whips (on issues other than voting themselves higher expenses or a bigger pay rise) to get that law through parliament. Are the Conservatives the Vulture Party?